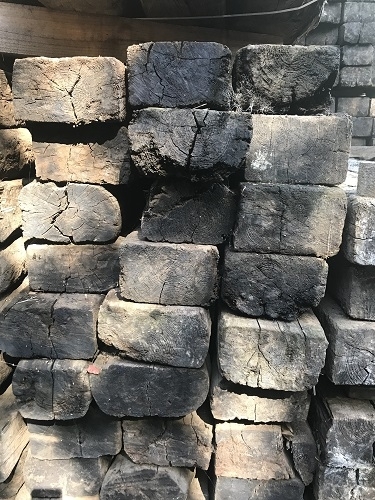 Grade B railway sleepers are generally older, more weathered, uneven and with more imperfections, damage, or decay than Grade A/B. Various colours of light, medium and dark brown with some silver grey if bleached by sun. Sometimes spots of tar on surface. 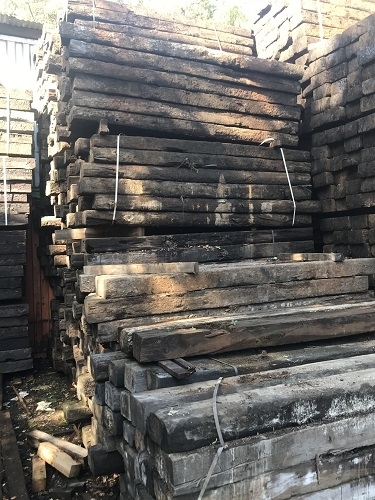 These reclaimed railway sleepers are probably anything over 45+ years old, depending on which section of the railway they were taken up from. 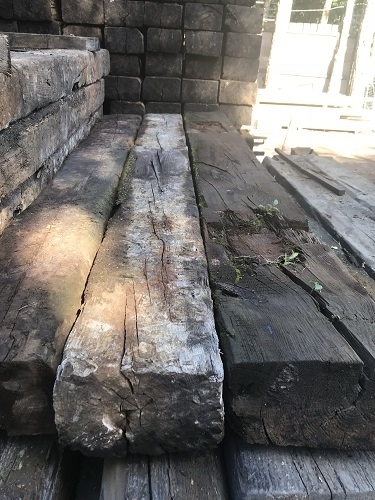 but can have slight damage to one side and perhaps a small amount of rot to the underside where it lay on the ground under the tracks for decades. 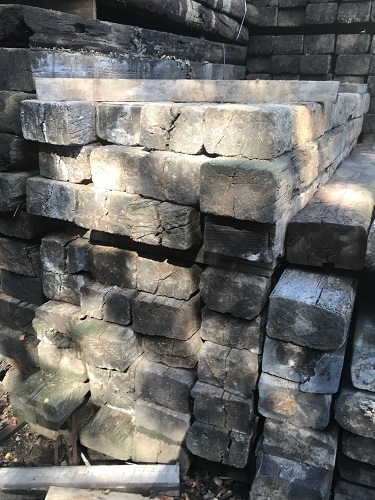 It should have at least two good straight edges so can also be stacked and used to build retaining walls etc.